Set contains 3 photoetching boards (more than 90 parts) for detailing the exterior of the aircraft. Set contains photoetching board 52*73 mm (40 parts) for detailing the exterior of the aircraft. - photoetching board 110*100 mm (30 parts). - 3 variants of color posters of information stands. Set contains 25 resin parts, photoetching board (40*21 mm). Set contains 44 resin parts, photoetched parts (49*25 mm). Set contains 10 resin parts, photoetched parts (49*25 mm). Sets contain resin and photoetched parts. Kit contains 7 resin parts, photoetching board (52*137 mm), film, LED, switch, wires and battery with sell to build 1 model. Set contains 2 photoetching boards (29*71 and 17*37 mm) for detailing the exterior of the aircraft. Set contains 18 resin parts, photoetched board (100*49 mm) for detailing engines. Set contains 12 resin parts, photoetched board (36 * 24 mm) for detailing main landing gears and tail support, landing gear flaps, antenna. Set contains 3 resin parts, 2 photoetched boards (90*47 and 35*15 mm) for exterior detailing. Set contains 12 resin parts, photoetching board (59*46 mm) for detailing engines. 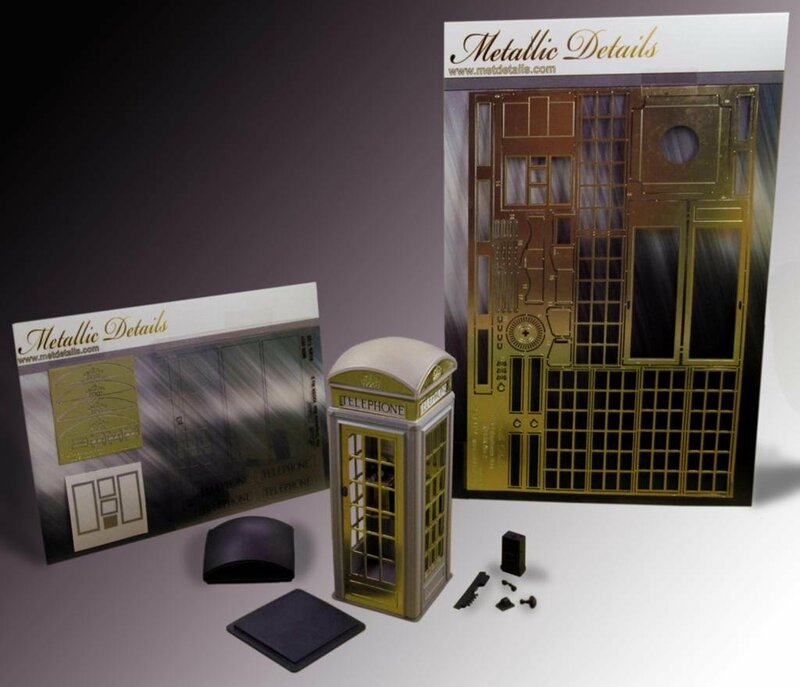 Set contains 1 photoetched board (50*70 mm) for exterior detailing. Set contains 1 photoetched boards (32*144 mm) for exterior detailing. Set contains 1 photoetched boards (42*138 mm) for exterior detailing. Set contains 3 resin parts for correction of turret of tank T-70.